Commercial Roofing Companies - Commercial Roofing Company. Conquest Consulting specializes in membrane, metal, shake, tile, standing seam and flat roof roofing systems. "Great job on the roof! Done on time, on budget and, most importantly, done right." "Your coordination with our builder was great and the roof was complete on schedule." Conquest Consulting is dedicated to cleaning up the commercial roofing industry. You'll find we offer excellent roofing products and services at fair prices. We also hold ourselves to high standards that are unheard of in the roof replacement industry. Does it surprise you to learn that the commercial construction industry ranks among the highest for customer complaints? Typical contractors over promise and under deliver. 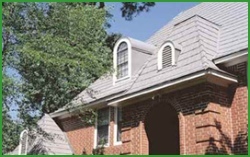 We show homeowners and business owners how to buy the proper roof system at the most efficient price. We start and finish every project on time and on budget. Our customers agree that our on time record is excellent. If you have a home or commercial building we'd be happy to provide your new roof system. We'll make it easy for you to purchase your new roof system with confidence by providing an itemized bid that will be honored 90 days. No hard sell tactics, just honest information so you can make an informed decision. Unlike roofing companies we encourage you to shop around before you purchase. Our code of ethics tells you what to expect from a roofing company. It also lists questions to ask when you shop for a roofing company so you can uncover policies they may not mention until after a contract is signed. Conquest Consulting was founded in 1999 by by Sean Sanborn. Sean has worked in the roofing industry for many years and has an in-depth of knowledge of systems and roof practices. Sean was inspired to create a roof consulting company that has high ethical standards and treats customers with respect and fairness. Sean served five years in the US Special Forces and was decorated for his military service. Conquest Consulting joined the Better Business Bureau in 1999 and has a complaint-free record. We are also a member of the Master Builders Association. You can rest assured that every Conquest roof carries a 10 year to lifetime warranty. We choose manufacturers who stand by their products, have exceptionally low rate of problems and provide excellent customer service. You're guaranteed the absolute lowest price on a roof system. We keep our overhead low and rebate savings right back to you. In fact, 8 out of 10 clients receive a rebate check. Hear why clients are happy about their new roof from Conquest Consulting. See the beautiful styles of roof systems, all guaranteed for life. Call now or use this simple on-line form to receive a free roof analysis and detailed bid guaranteed for 90 days. www.RoofingRangers.com © 2007 All Rights Reserved.